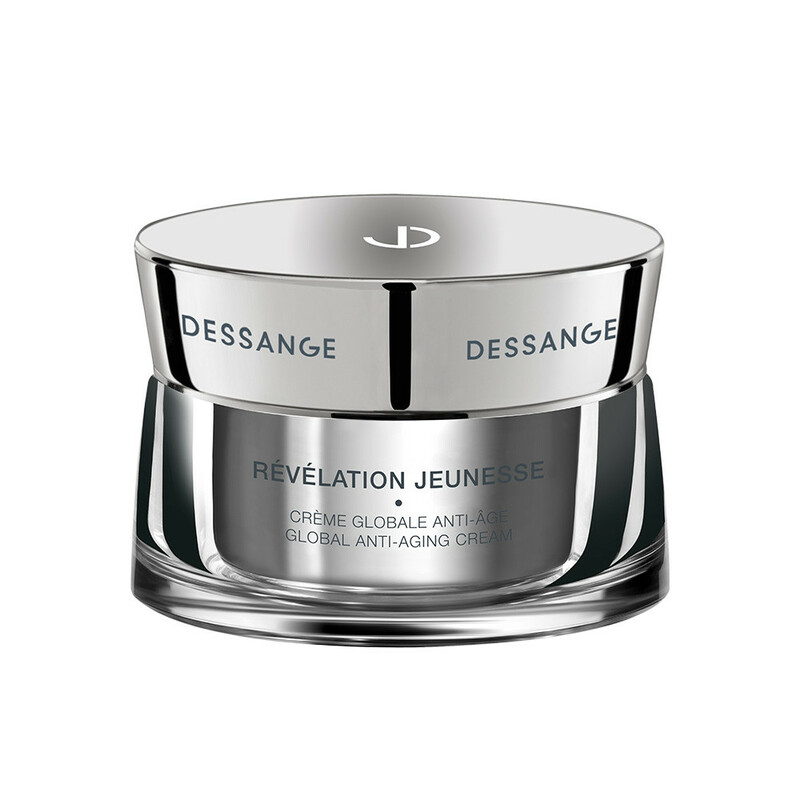 Morning after morning, this exceptional ultra-comfortable cream, enriched with black pearl and an energizing cocktail of trace elements, seems to offer the skin a new breath of life. Myrtle extract combined with an anti-oxidant and anti-pollution shield helps awaken the skin's youthful reflexes and protect it from external assaults. under the effect of a botanical-origin ingredient with tensor properties, the skin appears smoother. After a month, 95% of the women who tested this cream found their skin revitalized and firmer, their complexion fresher and more luminous*. *User tests involving 20 women who applied the cream twice a day for 4 weeks - self-assessment results. Myrtle extract helps combat the first signs of aging. A lifting active ingredient taken from manioc brings a smoother appearance to the skin. AQUA/WATER, GLYCERIN, ISODECYL NEOPENTANOATE, BUTYLENE GLYCOL, CAPRYLIC/CAPRIC TRIGLYCERIDE, BUTYROSPERMUM PARKII (SHEA) BUTTER, CETEARYL ALCOHOL, ZEA MAYS (CORN) GERM OIL, DIMETHICONE, POLYMETHYLSILSESQUIOXANE, OCTYLDODECANOL, CYCLOPENTASILOXANE, PALMITIC ACID, STEARIC ACID, CETEARYL GLUCOSIDE, STYRENE/ACRYLATES COPOLYMER, IRVINGIA GABONENSIS KERNEL BUTTER, OLEA EUROPAEA (OLIVE) OIL UNSAPONIFIABLES, GLYCERYL STEARATE, METHYL METHACRYLATE CROSSPOLYMER, PARFUM/FRAGRANCE, PEG-100 STEARATE, HYDROGENATED COCO-GLYCERIDES, DIMETHICONE CROSSPOLYMER, TAPIOCA STARCH, GLYCINE SOJA (SOYBEAN) OIL UNSAPONIFIABLES, TRITICUM VULGARE (WHEAT) GERM OIL UNSAPONIFIABLES, ACRYLAMIDE/SODIUM ACRYLOYLDIMETHYLTAURATE COPOLYMER, HYDROLYZED MYRTUS COMMUNIS LEAF EXTRACT, CHLORPHENESIN, SODIUM HYALURONATE, ISOHEXADECANE, SODIUM BENZOATE, TETRASODIUM EDTA, LECITHIN, SORBIC ACID, POLLEN EXTRACT, PHENOXYETHANOL, TOCOPHEROL, MAGNESIUM ASPARTATE, ZINC GLUCONATE, ADENOSINE, POLYSORBATE 80, CHLORHEXIDINE DIGLUCONATE, HYDROLYZED PEARL, ETHYLHEXYLGLYCERIN, SORBITAN OLEATE, COPPER GLUCONATE, HELIANTHUS ANNUUS (SUNFLOWER) SEED OIL, CALCIUM GLUCONATE, POTASSIUM SORBATE, ERGOTHIONEINE, CI 14700/RED 4. Apply to perfectly cleansed face and neck.